The ImmPRESS (15 ml) Kit will stain approximately 75-150 sections and the ImmPRESS (50 ml) Kit will stain approximately 250-500 sections. The ImmPRESS polymerized reporter enzyme staining system uses novel conjugation and micropolymer chemistries to create a highly sensitive, ready-to-use, one-step, non-biotin detection system for immunohistochemistry and immunocytochemistry staining. This unique micropolymer of highly active enzyme (peroxidase or alkaline phosphatase) is attached to our affinity purified secondary antibodies, producing reagents with outstanding sensitivity and low background. The peroxidase micropolymers of the ImmPRESS HRP polymer reagent limit steric interference and provide enhanced accessibility to the target, avoiding the disadvantages of other polymer systems that use large dextrans or other macromolecules as backbones. The result is crisp, strong staining of antibody targets, especially nuclear and membrane antigens (such as Ki67, estrogen receptor, bcl-2, CD3, CD8 and CD10) and greater sensitivity than other polymer systems. The IHC immunostaining protocol is simple as shown in the diagram below. Following a blocking step with the diluted normal horse serum, sections are incubated with primary antibody. After a brief wash, the appropriate ImmPRESS Reagent is added to the sections and incubated for 30 minutes. Sections are again rinsed and the slides are developed with the peroxidase substrate of choice. Use a secondary antibody specifically adsorbed to remove cross-reacting antibodies of closely-related species (e.g. ImmPRESS Anti-Mouse IgG, Rat Adsorbed). Use the M.O.M.® ImmPRESS Kit (Cat. No. 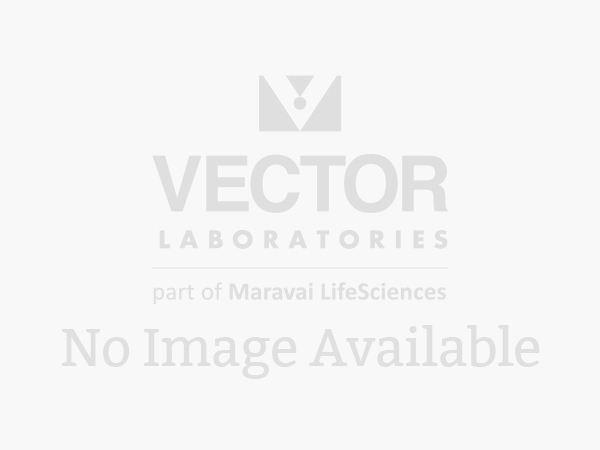 MP-2400) for applications of mouse primary antibodies on mouse tissue. Learn more about the ImmPRESS Polymer Detection Systems in double labeling.